August 2013 – Life happens!! What a week! This has been an interesting week. Got several calls for subbing, one of them was at my child’s school, not only was it at her school, it was her grade!! 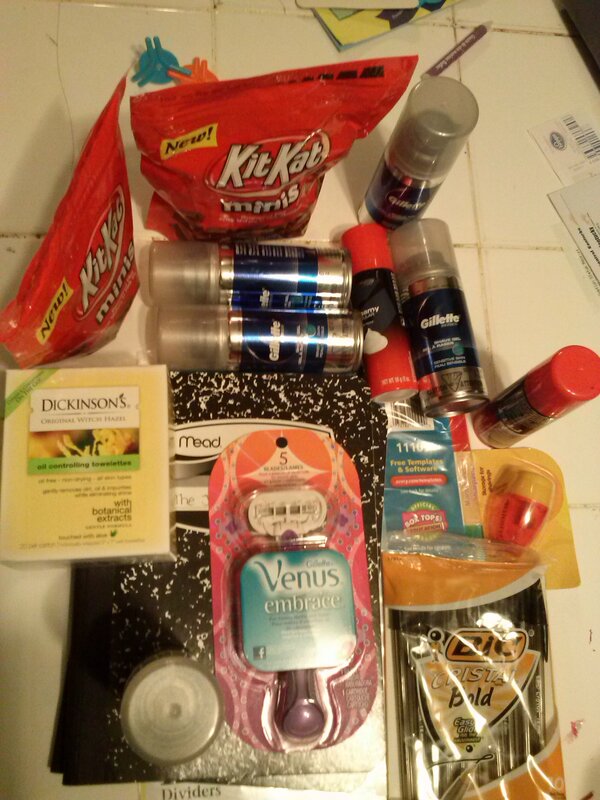 This week I got many freebies from Rite Aid, CVS, Target and Kroger. The sale cycle ends tomorrow if you are interested in some of the freebies. Here is the link to the coupons database. Type in the product and it should tell you where to find the coupon! Rite Aid is giving away supplies free!! with $1/2 in-ad coupon. The items are .50 cents each making them free. P/S I heard that you could use the same coupons ( $6/3 and $3/2) to buy women’s shaving cream I think my stockpile is good for now. You know things are out of control when you start making shaving cream paint. The kids loved it! Now that my kids are settled in school, it is time for me to look for some gainful employment. I have to say, looking for a job, is a job in itself. When we moved to the US more than 10 years ago, I worked a temp job for 4 months and then I got a permanent and pensionable job which I kept for 9 years. I honestly thought that I would be in that company forever. I never thought that I would not only move from that company, but move from that state. The time came and it was really the time to move. I stayed at home with my kids, but now I feel it is time to go back to corporate America. This being a small town, it has been challenging. Hubby says he sent out 100 applications before he got his job, I have not sent out that many yet, but it looks like I am heading there. Keep me in your thoughts and prayers. I went for a race this past weekend, for the first time I did go for an out of town race but I was not running in it. I went to volunteer. This race had more than 1000 participants, most of them walked the 5K. To put in perspective, this town has a population of 8,500 (according to the 2012 estimate) so basically about 12% of the population of the town showed up for this race!! Well, maybe 2% was from out of town, and a Ugandan did win the race! It was fun, it threatened to rain at the beginning of the race but it just stopped all of a sudden. This has been the best summer ever! 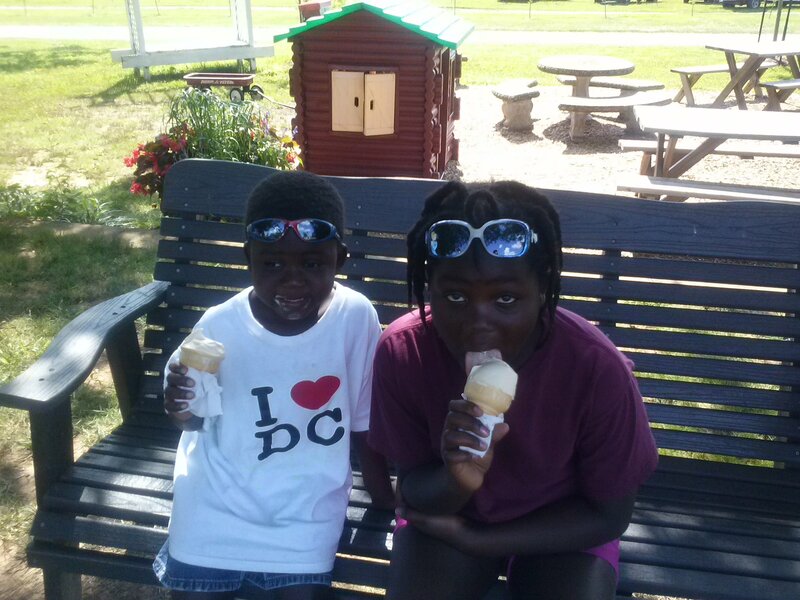 For the first time, I was able to stay at home with my kids during the summer. I was worried that we were going to be bored, but after setting up Mommy camp, we had a blast and I cannot believe summer is over. So, my kids are going back to school!Last week today, we really did not know where our kids were going to go to school. We had applied to one school and we did not get in because of all the changes in the cap(the number of out of district students accepted). We tried to move house into the school district we wanted but it was not working. So, we had also applied for a plan B incase plan A did not work and the principal of plan B let me know he cannot make the decision until the end of the week! Finally, the call from plan A came and our kids got a spot and tomorrow they start school. I pray that they stay in this school until the end of elementary. This is RT’s third school, yeah, she is going to 3rd grade. I think she is done with switching schools. One of the positive things is that Baby boy knows quite a number of kids in his class, he met them during his long road to kindergarten. They were all excited to see each other 🙂 This whole process has taught me that we should just put our trust in the Lord and relax. I mean, we were like beheaded chickens running around the street without a head (okay, that would only happen in Kenya) We went around panicking and getting frustrated and yet the Lord had it all in His plan. He knew that we were going to get a spot this time round (this was the second time applying). The Lord says, Be still and know I am the Lord, but we cannot bring ourselves to be still. I pray that today, you will be still and know that He is the Lord! Keep looking up!